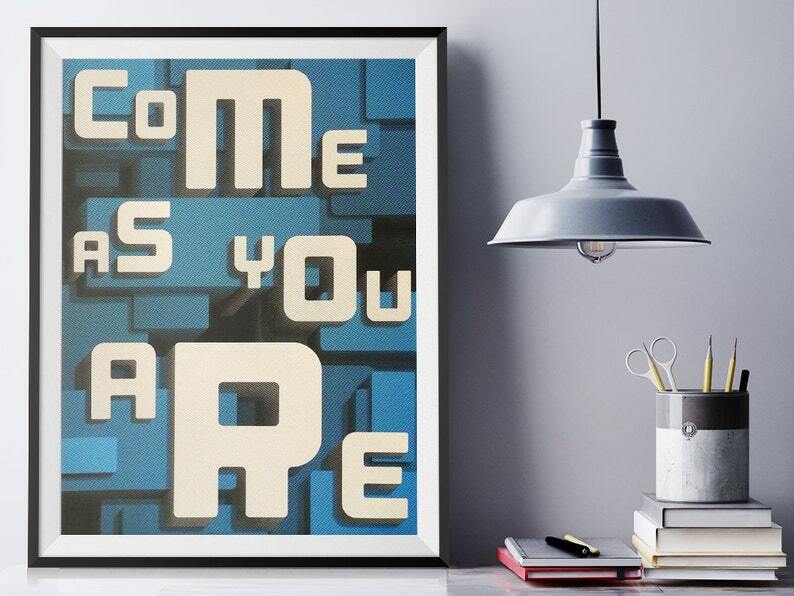 An original screen printed poster inspired by the classic Nirvana song, Come As You Are. Grungy typography, distressed texture, and a moody mix of blue and black ink – it's almost as if the 90s never went away. But hey, the choice is yours, don't be late to this original poster. PAPER & PRINTING: This poster is screen printed in 2 colors on #100 Construction Whitewash French Paper. This poster was designed by Thomas Bloch, a graphic designer who lives and works in New York City. Printing was done by Fleaheart Screen Printing in Brooklyn, NY.